​The links to new folio are on the blog page. New folio available on Fri. 4/7/17! See blog for details. All or most MWWWI members have written books. The following includes examples of our individual works. Zakia Iman Shahbaz -Zakia is the author of five books. She writes primarily for children however, she also loves to write poetry, especially ghazals. Her current projects are, Ameerah Makes a Friend, and a book of poetry (haikus and ghazals). A future project is a memoir. The children's titles are: A Trophy for Bilal, A Medal for Nabila, The Big Blue Bicycle, and the first two in a series, Ameerah’s First Day and Ameerah and the Missing Lunchbox. A new book, Ramadan and the Three Rs was published in 2013. For more information about her books, visit Zakia Iman Shahbaz at www.blurb.com. Haleemah Abdul Muhaymin - Haleemah writes primarily for the youth market. She is the author of The Princess and The Journeyers Series. Yumn of the Kabaliya, Shawiya, the Warrior Princess and Hidden Royalty are the first three of her Princess series. The Ocean Meridians and Sequoiadendrons are her first two of the Journeyers series, with the soon to be published, Amazon Rain Dragon, which will make three. 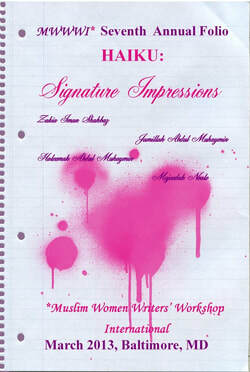 For more information about the series, visit Haleemah Abdul Muhaymin at www.blurb.com. Sarah ‘White Dove’ Farlow - Sarah has written a children’s book and a book of poetry, Two Wings and a Prayer. Jamillah Abdul Muhaymin - Jamillah’s first book, Islam for a New Shahadah, was published last year and has been well received. She is also a prolific poet, writing poems in many styles and formats. Her book, Imagination in Rhyme was published in the spring, 2013. Her new book, The Spiritual Life of a Muslim was published in 2015. Muriel (Maryam Simmons - Maryam has written a book of poetry and a children's book soon to be published. She has also written an essay: Quranic Arabic is Essential Knowledge. Habibah - A prolific writer of poetry and short stories not yet published. Majeedah Neale - Majeedah is a hardworking mother of five boys who manages to make time to pursue her creative writing goals. She is the author of, ‘Gone Girl.’ Much of her writing focuses on the joy of the culinary arts and healthy eating. Jameela Watson - Jameela was an strong supporter of MWWWI when we were centered in Sharjah, UAE. She has continued with her love for writing by earning a MFA in Poetry. Fatima ‘Connie’ Tamayo - Fatima we thank for the idea of our annual folio. She has not formally published a book of her poetry yet. But she is always writing and has plenty to contribute when asked to do so. MWWWI is sure it is just a matter of time before she publishes a book of her vivid poetry. that I seclude myself from my surroundings and all that remains are my words………. MWWWI Group Endeavors - New 2017 folio will be available on Friday, April 7, 2017! See blog for details. ​Go to Blurb.com for purchase details. 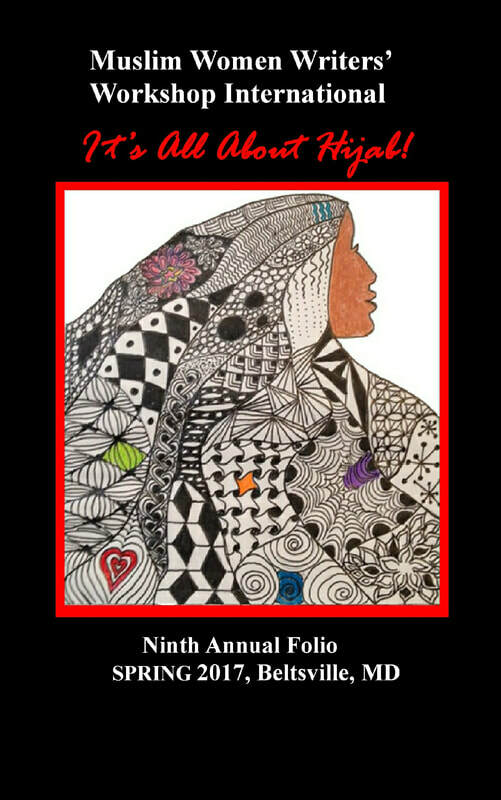 Muslim Women Writers' Workshop Ninth Annual Folio, Beltsville MD, It's All About Hijab! GO to Blurb.com to purchase. 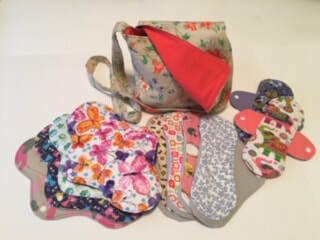 Go to Blurb.com for purchase details.